Ronnie Hickman is one of the most explosive players in New Jersey and talent evaluators around the country have taken notice. Hickman, a two-way star for DePaul Catholic and an Ohio State commit, was presented his 2019 All-American Bowl jersey during a pep rally Friday afternoon. DePaul Catholic football head coach John McKenna was also announced as an assistant coach for the East squad. 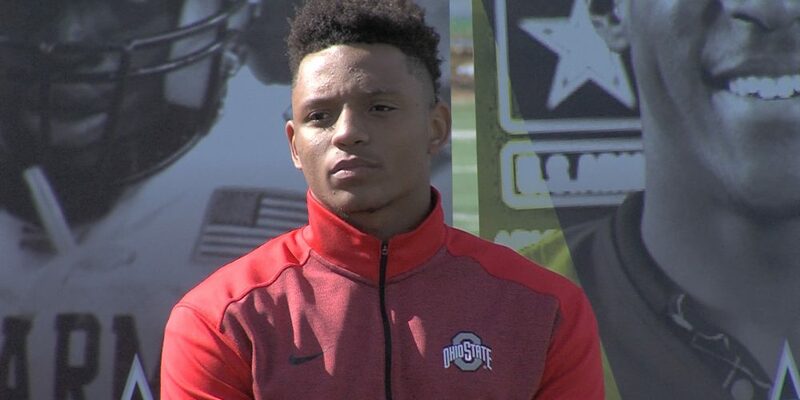 Hickman, a four-star recruit, projects to play safety for head coach Urban Meyer and defensive coordinator Greg Schiano when heads to Ohio State next year. Hickman rounds out the four New Jersey players selected to play in the 2019 All-American Bowl, scheduled for Jan. 5, 2019 in San Antonio, Texas. The others are Caedan Wallace, a Penn State offensive line commit from Hun School; Antonio Alfano, an Alabama commit and Colonia defensive lineman; and Joe Shimko, a long snapper from Wall High School committed to play at N.C. State.